If you're looking for serenity now, this may be just what you need! The property has some huge mature trees, including some of the biggest white oak I have ever seen, red cedar, white pine, and jack pine. A Class 1 Trout Stream, Holmes Creek, meanders through the property and provides a relaxing babble. Deer, turkey, and grouse can be seen on the property frequently. Several nice camp areas are right off an existing trail near the south line. 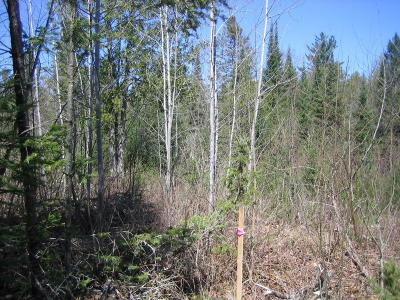 The property is a quarter mile from a low traffic road. Three of the four corners are well marked. Escape from the city and become one with nature here!